The lovely apartment is situated in a small complex which was newly finished in 2010 and has been furnished to a high standard offering every comfort for all who stay here. It is situated between the villages of Burgau and Praia da Luz with their beautiful blue flag beaches. There are 2 restaurants right by the apartment and shops a few minutes walk away. 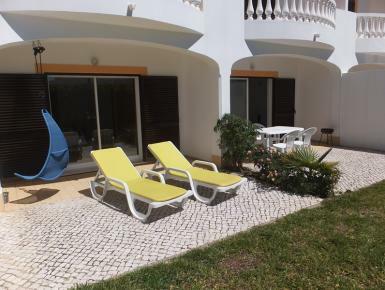 It is an ideal base for anybody wishing to tour the Algarve or just wanting a relaxing holiday in beautiful surroundings. Praia da Luz is a large village situated near the town of Lagos. It has many restaurants, bars and shops and a beautiful beach. Burgau is a smaller fishing village cobbled streets leading down to another stunning beach. It has a number of restaurants and bars and shops.